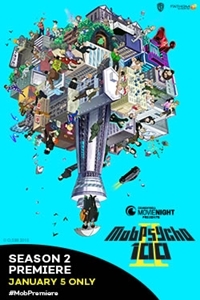 We have read your minds and we know you want more Mob Psycho 100! To get you prepared for Season 2, Crunchyroll and Fathom Events are bringing you an exclusive first look at Episode 1 from Season 2 before it premieres in Japan! This exclusive event will also feature a special OVA from Reigen's perspective to help you get caught up on Mob's story as a powerful esper.